The province of Quezon is known for its spacious mountain ranges, vast forest lands, coconut production, and lively festivities. The Sierra Madre, Mt. Banahaw, and its cultural churches are some of its well-known tourist spots. But not known by many, the province also offers wide stretch of beaches enveloping its mountainous ranges, just waiting to be discovered. 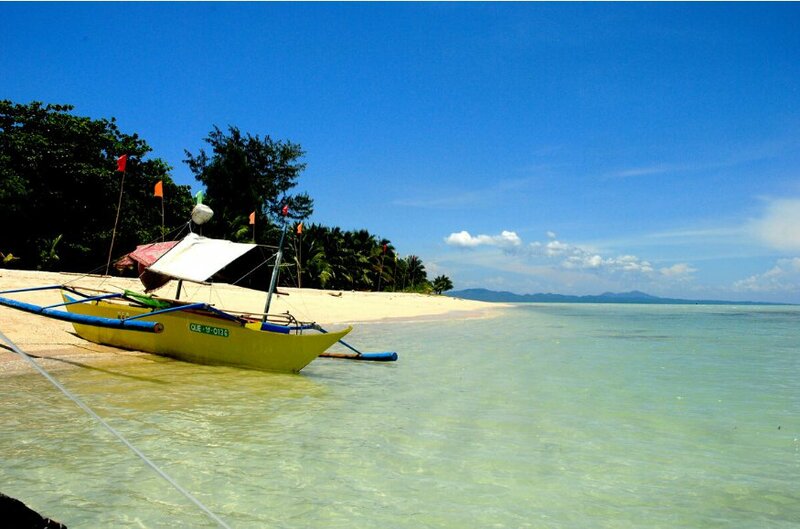 In a small town of Mauban lies the 1,640 hectare paradise of Cagbalete Island. 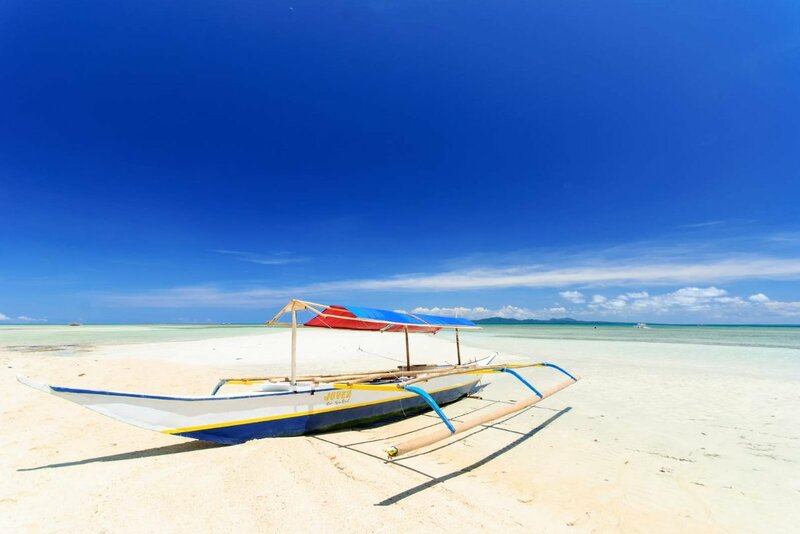 Situated east of Quezon province, resting along the waters of Lamon Bay and the Pacific Ocean, the island offers a wide vastness of creamy white sand beach and crystal clear water. It might sound like Cagbalete is just like any other beach, but the actual experience of setting your foot on the island and witnessing its scenic surroundings will make you realize that it’s different from any other island near the metro. The island is also known for its diverse ecosystem and rich marine life. Beautiful corals, schools of fish and countless starfish are waiting for you when you enter its waters. Just 45 minutes by boat is another island perfect for bird watching activities. When it’s low tide, its shoreline will make your jaw drop as it creates a picturesque landscape while the sun rays flatteringly reflect on its wet and moist sand. 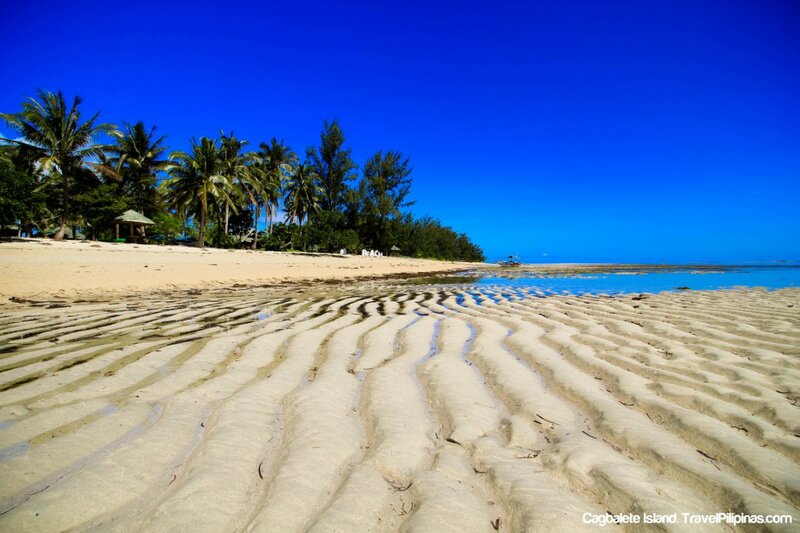 Cagbalete is a perfect island for the beachgoers tired of bumming on the same beach every summer. You’ll feel refreshed after experiencing its rawness. Cagbalete Island is slowly becoming the beachgoers’ favorite. With the sudden increase of travelers heading to the island in the past years, a number of privately-owned resorts have opened. Three main resorts which are operating for a long time already are Pansacola Beach Resort, Villa Cleofas and the MVT Sto. Nino Resort. If you are on a budget, you can bring a tent and pitch it. Resorts will still collect an entrance fee and for tent-pitching. 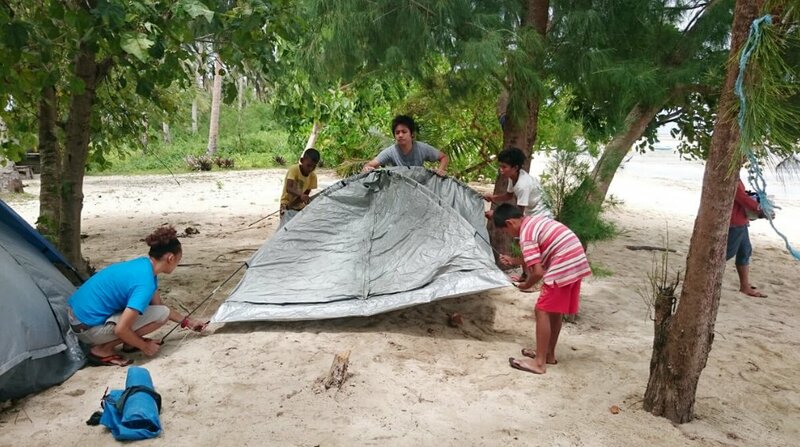 Tents are also available for rent at ₱400 good for 2-4 people. From Manila, there’s a JAC Liner bus that transports passengers directly to Mauban, Quezon Province with two trips scheduled at 5 AM and 12 NN. Take the 5 AM trip to arrive 10 AM in Mauban. Fare is ₱270. Ask the bus driver to drop you off at the Mauban Public Market. If you miss the 5 AM trip, ride a bus going to Lucena Grand terminal. There are daily and regular trips going to Lucena Grand Terminal that leave every 30 minutes starting at 2 AM. Travel time is about 3-4 hours and fare is ₱210. If you are taking this route, from Lucena Grand Terminal, ride another bus bound to Mauban. Travel time is one hour and fare is ₱50. Get off at Mauban Public Market. From Mauban Public Market, walk a few meters towards the Mauban port and ride an outrigger boat going to Cagbalate Island. Tourists are required to register at the tourism office and pay for a ₱50 environment fee. The tourism office also facilitates boat rentals going to the island. A small boat costs ₱1,500 for 2-3 passengers and big boats good for 8-10 passengers cost ₱4,000. These boats will bring you directly to your resort. If you are on a budget, there are also regular public boats leaving Mauban Port at 10 AM. This boat will drop you off at Cagbalete Sabang Port. From the port, you will walk 10-30 minutes before reaching your resort. When it’s low tide, passengers will be transferred on a raft to bring them near the port. Small boats are also available for rent to bring you to your resort from the port. 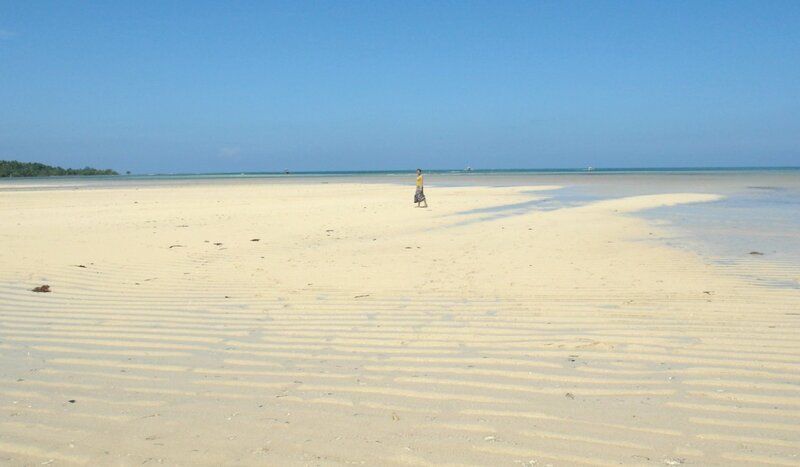 The island offers vast, creamy sand space during low tide making Frisbee and skimboarding perfect sports to play. Resorts usually offer Frisbees and skimboards for their guests to use. Both are locals’ favorite sports so if you are looking forward to a good-natured afternoon with kids, you can play Frisbee with the locals or get skimboarding lessons. Walk on the sandbar and visit the Bonsai Island. Just in front of Villa Cleofas, a 30-minute walk from the Cagbalete Sabang Port, is a small interesting island of century-old Bonsai. 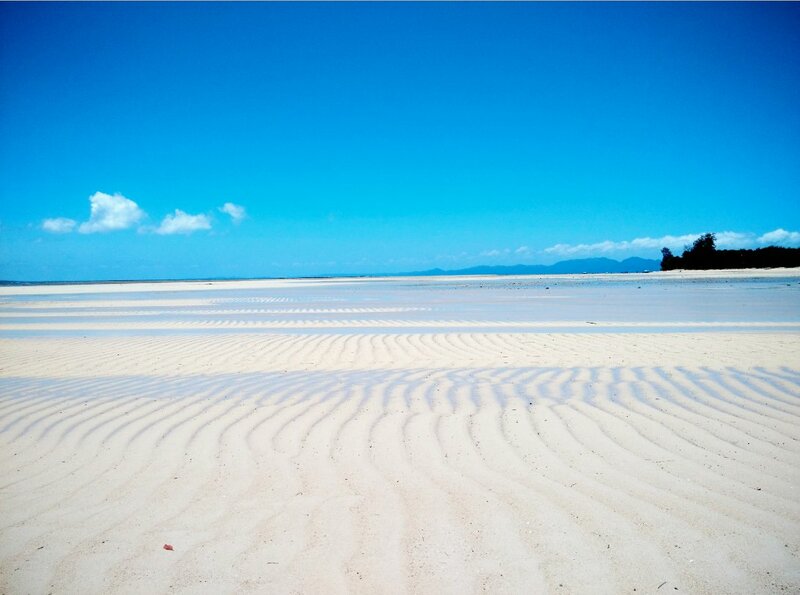 The sandbar going to Bonsai Island is only visible during low tide, between 11 AM to 4 PM, so make sure to properly schedule your visit. The island’s rich underwater habitat will satisfy your cravings for mouth-watering seafood. With the help of a fisherman on the island, you can visit the fishing area to catch lamarang fish, coconut crabs, and lobsters which are all common in the Cagbalete sea. If you love waking up early to watch the sun rise or staying a bit late in the afternoon for the scenic sunset, then this something you should not miss when in Cagbalete Island. Unlike other beaches which will only let you witness either a sunrise or a sunset, Cagbalete Island will reward you with both. The left portion of the Island is where the sun peaks in the morning and the right portion is where the sun sets. So ready your camera and enjoy capturing perfect sunrise and sunset panoramic shots! 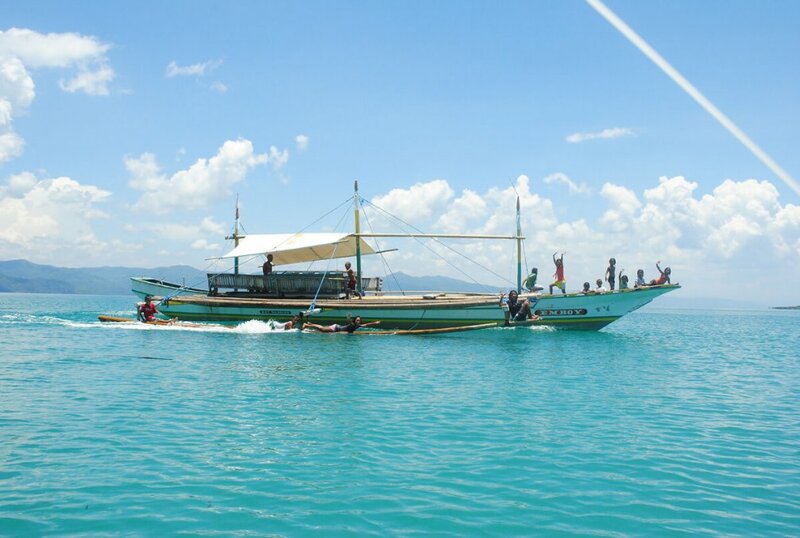 If you are still looking for more adventure, you can hire a boat for ₱1,500 to bring you to an island about 45 minutes away from Cagbalete, the Baliscar Island. It’s great for bird watching, as migratory birds usually pass through the Island. To get to the perfect spot, you have to trek up the island, climb sharp rocks and enter caves. If you are planning a side trip to Baliscar Island, make sure to wear proper footwear for protection. While Cagbalete has a stunning landscape during the daytime, it has a different charm during the evening. All you have to do is look up. The night sky is usually clear and filled with countless stars that are beautifully scattered and relaxing to stare at. Set up your hammock or beach mat and lay under the sky. Feel the breezy wind of a summer evening and watch the stars gleam bright. Cagbalete Island is a secluded island. Electricity is only available from 6 PM to 6 AM with the use of generators. When there are few tourists around, electricity is only available until 12 midnight. Cellular signals are reliable but 3G network connection is weak. If you don’t want the hassle of cooking and grilling your own meals, resorts on the island offer packed meal packages that are appetizing and affordable. 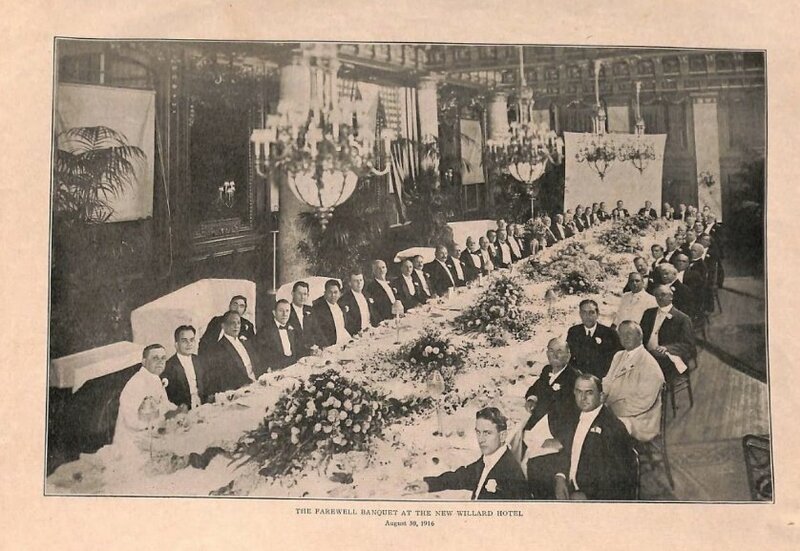 If you plan to order meals from your resort, make sure to inform them ahead of time. Loud sound systems are prohibited on the whole island past 10 PM. This is to give all campers a peaceful, quiet, and uninterrupted sleep. Going back to Mauban Port, the scheduled trips are at 7:30 AM and 1:00 PM. From Mauban Port, there are daily scheduled trips returning to Manila at 4:30 AM and 2 PM via JAC Liner buses. Make sure to catch the 2 PM trip back to Manila or you’ll be stuck there until the next morning.